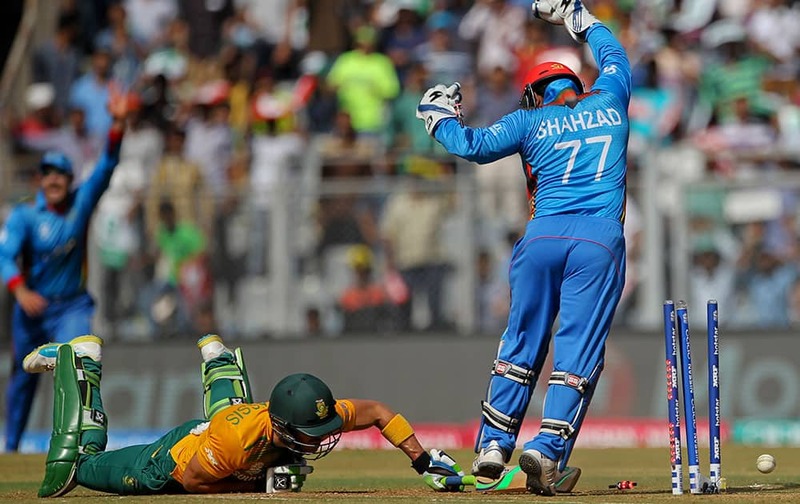 South Africa's Chris Morris, center, celebrates the wicket of Afghanistan's Shahzad Mohammadi'during their ICC World Twenty20 2016 cricket match at the Wankhede stadium in Mumbai. 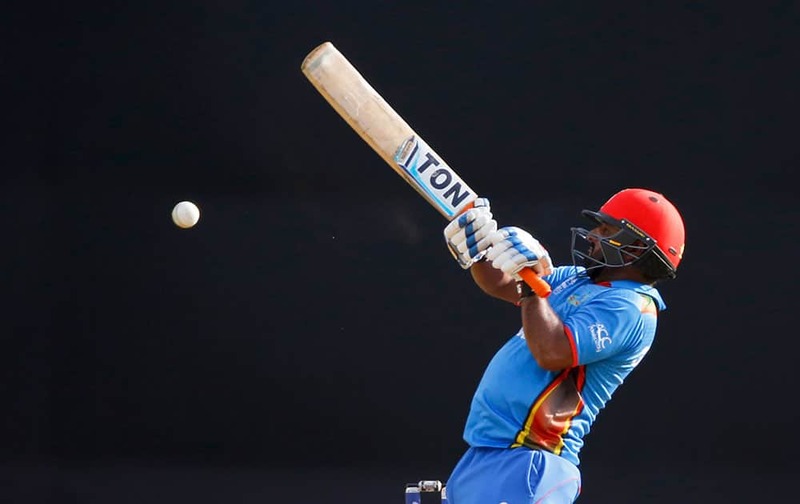 Afghanistan’s Mohammad Shahzad is bowled out by South Africa's Chris Morris during their ICC World Twenty20 2016 cricket match at the Wankhede stadium in Mumbai. 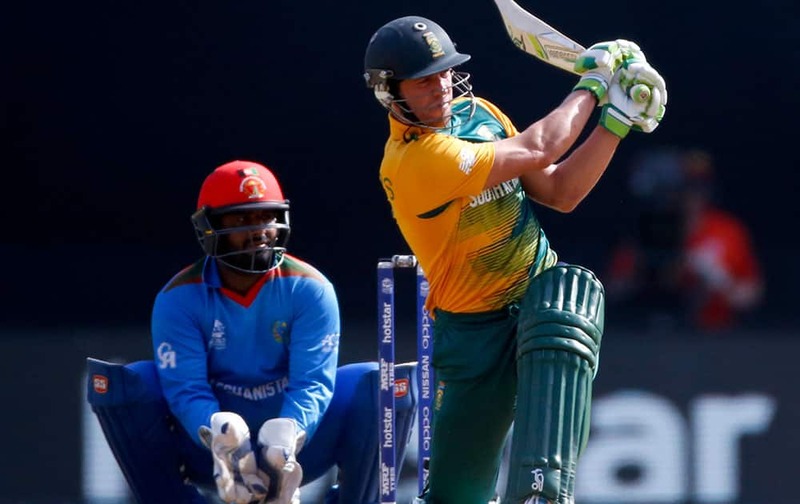 South Africa's Chris Morris celebrates the wicket of Afghanistan's Asghar Stanikzai during their ICC World Twenty20 2016 cricket match at the Wankhede stadium in Mumbai. 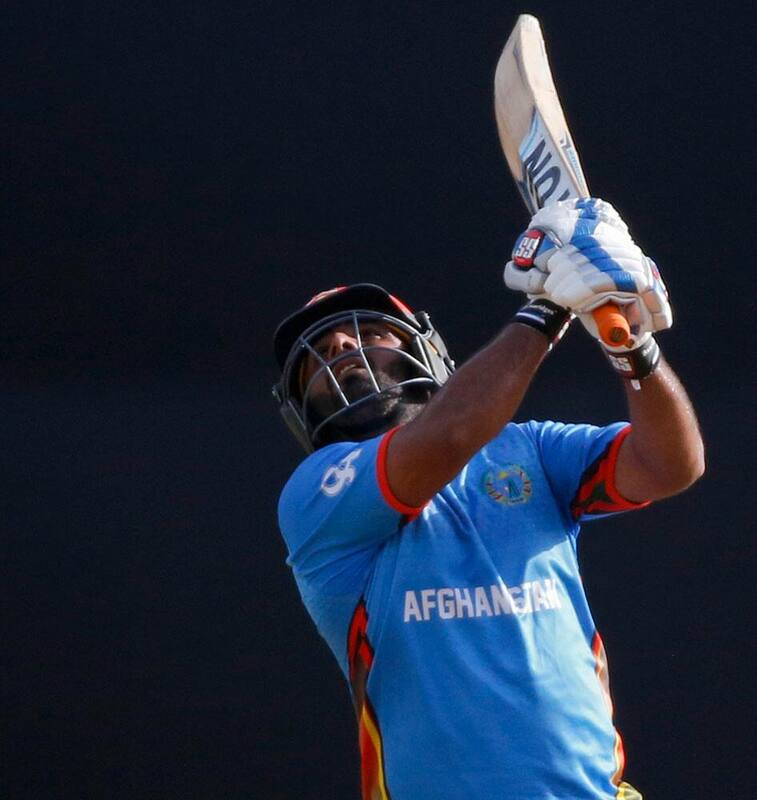 Afghanistan's Shahzad Mohammadi bats against South Africa during their ICC World Twenty20 2016 cricket match at the Wankhede stadium in Mumbai. 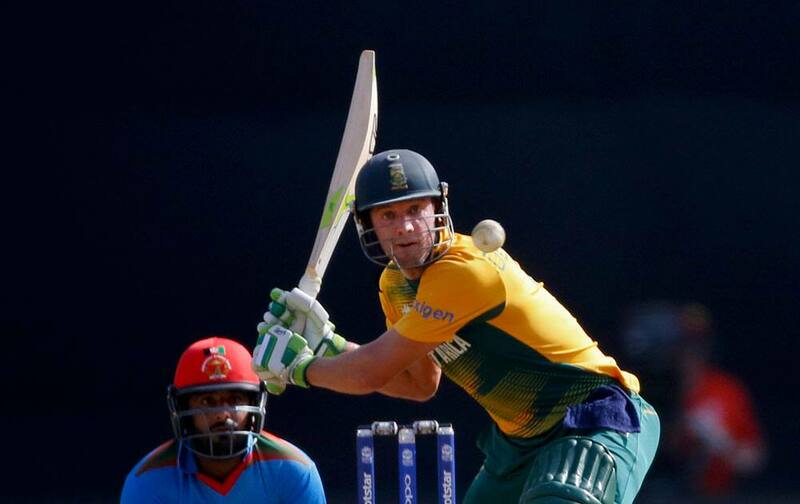 South Africa's AB de Villiers bats against Afghanistan during their ICC World Twenty20 2016 cricket match at the Wankhede stadium in Mumbai. 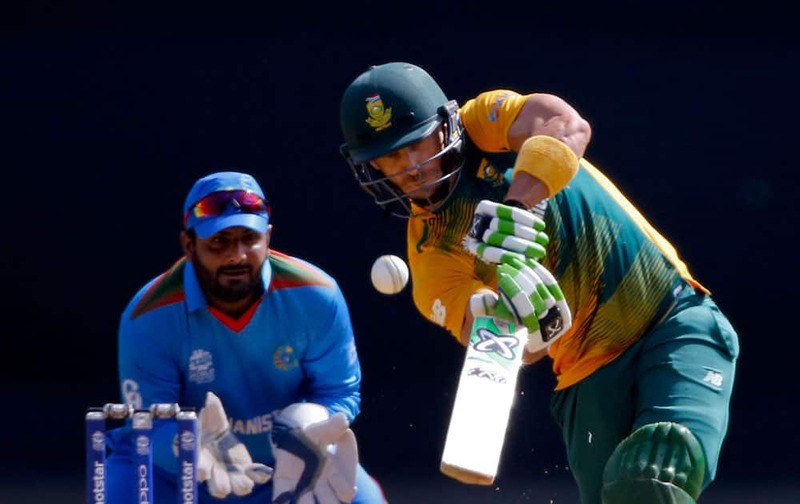 South Africa's Faf du Plessis bats against Afghanistan during their ICC World Twenty20 2016 cricket match at the Wankhede stadium in Mumbai. 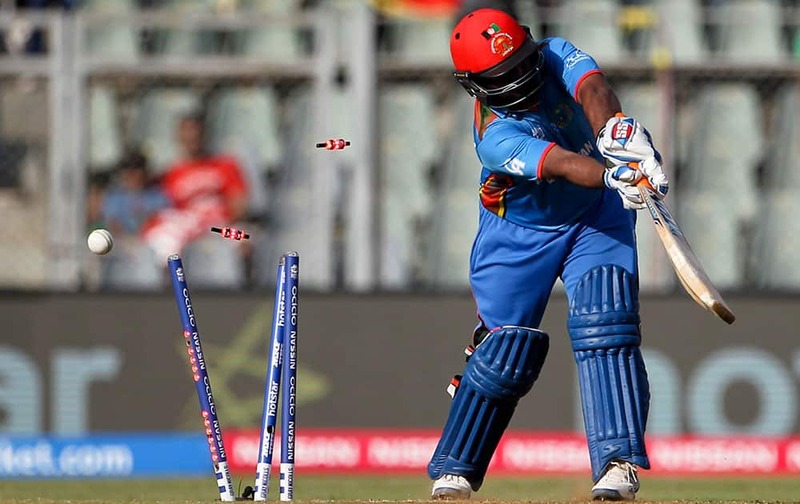 South Africa's captain Faf du Plessis fails to reach the crease as Afghanistan’s Mohammad Shahzad appeals successfully for run out during their ICC World Twenty20 2016 cricket match at the Wankhede stadium in Mumbai. 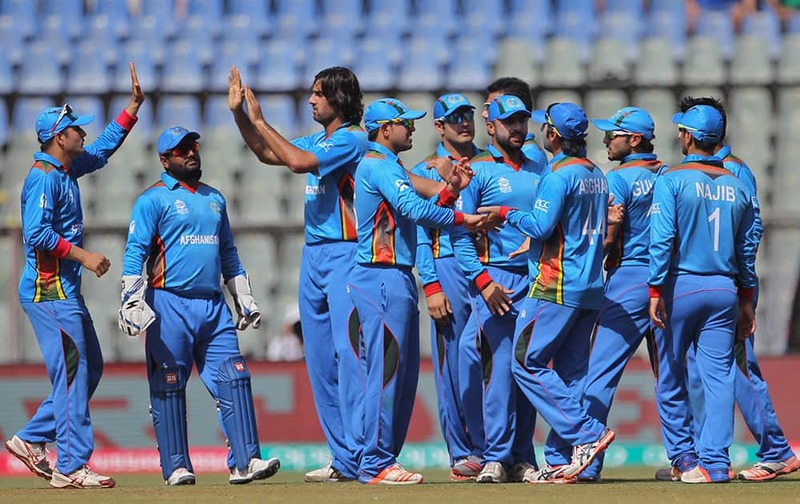 Afghanistan’s players celebrate the dismal of South Africa's Hashim Amla during their ICC World Twenty20 2016 cricket match at the Wankhede stadium in Mumbai. 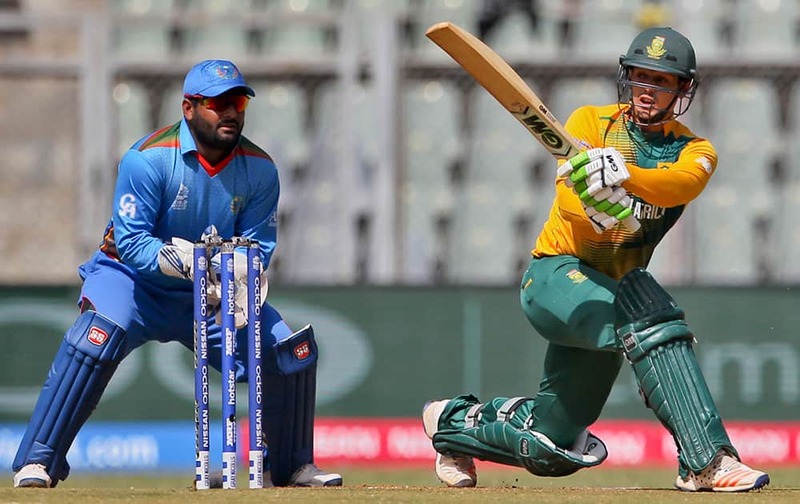 South Africa's Quinton de Kock bats against Afghanistan during their ICC World Twenty20 2016 cricket match at the Wankhede stadium in Mumbai.